Tides flowing in a subsurface ocean of molten rock, or magma, could explain why Jupiter's moon Io appears to have its volcanoes in the "wrong" place. New NASA research implies that oceans beneath the crusts of tidally stressed moons may be more common and last longer than expected. The phenomenon applies to oceans made from either magma or water, potentially increasing the odds for life elsewhere in the universe. "This is the first time the amount and distribution of heat produced by fluid tides in a subterranean magma ocean on Io has been studied in detail," said Robert Tyler of the University of Maryland, College Park and NASA's Goddard Space Flight Center in Greenbelt, Maryland. "We found that the pattern of tidal heating predicted by our fluid-tide model is able to produce the surface heat patterns that are actually observed on Io." Tyler is lead author of a paper on this research published June 2015 in the Astrophysical Journal Supplement Series. Io is the most volcanically active world in the solar system, with hundreds of erupting volcanoes blasting fountains of lava up to 250 miles (about 400 kilometers) high. The intense geological activity is the result of heat produced by a gravitational tug-of-war between Jupiter's massive gravity and other smaller but precisely timed pulls from Europa, a neighboring moon to Io that orbits further from Jupiter. Io orbits faster, completing two orbits every time Europa finishes one. 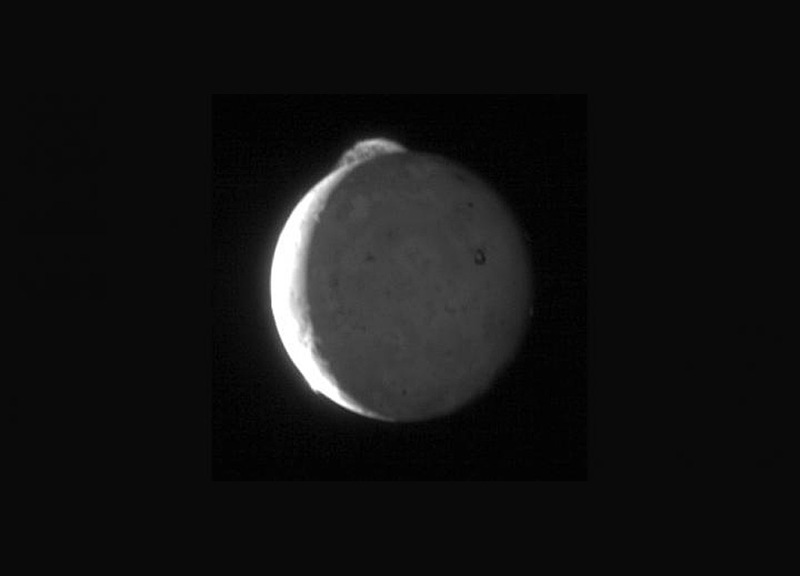 This regular timing means that Io feels the strongest gravitational pull from its neighbor in the same orbital location, which distorts Io's orbit into an oval shape. This modified orbit causes Io to flex as it moves around Jupiter, causing material within Io to shift position and generate heat by friction, just as rubbing your hands together briskly makes them warmer. Previous theories of how this heat is generated within Io treated the moon as a solid but deformable object, somewhat like clay. However, when scientists compared computer models using this assumption to a map of the actual volcano locations on Io, they discovered that most of the volcanoes were offset 30 to 60 degrees to the East of where the models predicted the most intense heat should be produced. The pattern was too consistent to write it off as a simple anomaly, such as magma flowing diagonally through cracks and erupting nearby. "It's hard to explain the regular pattern we see in so many volcanoes, all shifting in the same direction, using just our classical solid-body tidal heating models," said Wade Henning of the University of Maryland and NASA Goddard, a co-author of the paper. The mystery of Io's misplaced volcanoes called for a different explanation--one that had to do with the interaction between heat produced by fluid flow and heat from solid-body tides. "Fluids - particularly 'sticky' (or viscous) fluids - can generate heat through frictional dissipation of energy as they move," said co-author Christopher Hamilton of the University of Arizona, Tucson. The team thinks much of the ocean layer is likely a partially molten slurry or matrix with a mix of molten and solid rock. As the molten rock flows under the influence of gravity, it may swirl and rub against the surrounding solid rock, generating heat. "This process can be extremely effective for certain combinations of layer thickness and viscosity which can generate resonances that enhance heat production," said Hamilton. The team thinks a combination of fluid and solid tidal heating effects may best explain all the volcanic activity observed on Io. "The fluid tidal heating component of a hybrid model best explains the equatorial preference of volcanic activity and the eastward shift in volcano concentrations, while simultaneous solid-body tidal heating in the deep-mantle could explain the existence of volcanoes at high latitudes," said Henning. "Both solid and fluid tidal activity generate conditions that favor each other's existence, such that previous studies might have been only half the story for Io." The new work also has implications for the search for extraterrestrial life. Certain tidally stressed moons in the outer solar system, such as Europa and Saturn's moon Enceladus, harbor oceans of liquid water beneath their icy crusts. Scientists think life might originate in such oceans if they have other key ingredients thought to be necessary, such as chemically available energy sources and raw materials, and they have existed long enough for life to form. The new work suggests that such subsurface oceans, whether composed of water or of any other liquid, will be more common and last longer than expected, both within our solar system and beyond. Just as a precisely timed push on a swing will make it go higher, oceans can fall into a resonance state and sometimes produce significant heat through tidal flow. "Long-term changes in heating or cooling rates within a subsurface ocean are likely to produce a combination of ocean layer thickness and viscosity that generates a resonance and produces considerable heat," said Hamilton. "Therefore the mystery may be not how such subsurface oceans could survive, but how they could perish. Consequently, subsurface oceans within Io and other satellites could be even more common than what we've been able to observe so far." The research was funded by a grant from the NASA Outer Planets Research program. Tides flowing in a subsurface ocean of molten rock, or magma, could explain why Jupiter's moon Io appears to have its volcanoes in the \"wrong\" place.